I received my Beauty Box 5 earlier last week, and I have to say I love everything that came in this month's box. For the month of March, subscribers got a lot of skincare products. 1. Swissco Dual-Sided Facial Pad | Retail: $2.00 One Size: I haven't tried this yet, and I'm not sure if the rough side will be too rough for the skin on my face, but I like the soft side of this facial pad. 2. Tree Hut Shea Body Butter | Retail: $7.49 7oz: I love this body butter. I can't put body butter on my my neck, face, or behind my knees, because I have eczema and that's where the problems occur most often. But I do like putting this on my hands, or on my feet. This smells so amazing! I would really love to pick up different scents! 3. Jane's Pick All Natural Soaps | Retail: $8.00 5oz: I love the scent of this soap. When I got it in, I smelled it, and oh my god, it smells amazing! I believe this scent is spicier and more manly, but I'm really loving those types of scents nowadays. I believe the scent I got was Patience. It has black spruce, fir needle & rosewood. 4. BellaPierre Cosmetics makeup base | Retail: $18.99 0.29oz: I've never had anything like this before. It's a concealer, illuminator, and a eyeshadow primer all in one. I used this as a primer this week, and it seems to enhance my eyeshadow which is always a plus for me! 5. H20 Plus hand and nail cream | Retail: $15.00 6oz: I've loved H20 for a long time now. Ever since I picked up their amazing body washes. So when I got this in the Beauty Box 5, you can say I was super excited. This smells amazing, and it absorbs really fast into my hands. 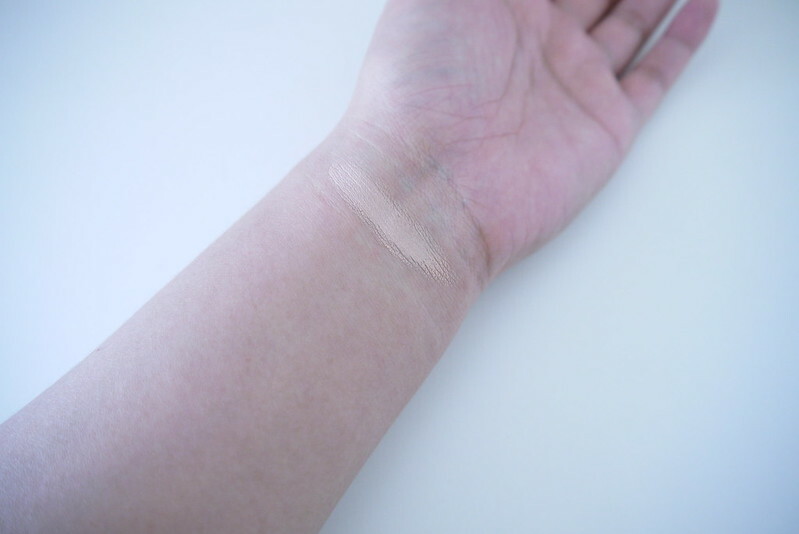 Above is the swatch of the Bellapierre makeup base. I think this color might be too light to be a concealer for me, but it does work as a good eyeshadow primer! 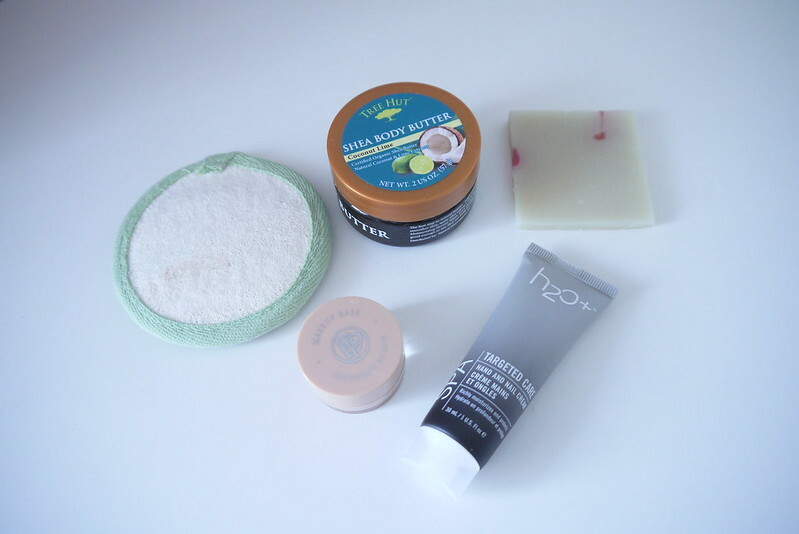 I am thoroughly impressed with this month's Beauty Box 5! I love all the scents of the items I received, and the price of everything in the box retails far more than the cost of the box! If you haven't check out Beauty Box 5 yet, check them out!